I love pretty much every type of makeup, but I think most can agree we all have staple items, the products we use ever single time we apply our faces. Two of such staples, for me anyway, happen to be some sort of base, like foundation, and eyeliner in one shade or another. 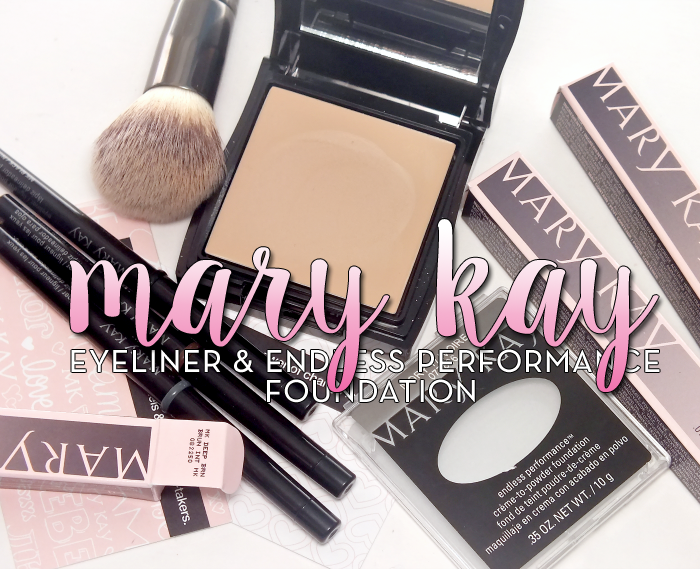 That said, it only made sense to pair up these two new releases from Mary Kay- the simply named Eyeliner and Endless Performance Creme-to-Powder Foundation. Read on! A the name suggests, the formula is cream to powder. I don't always get long well with crem to powder formulas, as they don't always work well on drier skin, or skin with dry areas, but this is quite creamy and smooth when applied and does wear quite nicely on skin. Application was great- I've used a brush and a sponge, which both wore well, but I prefer the sponge. 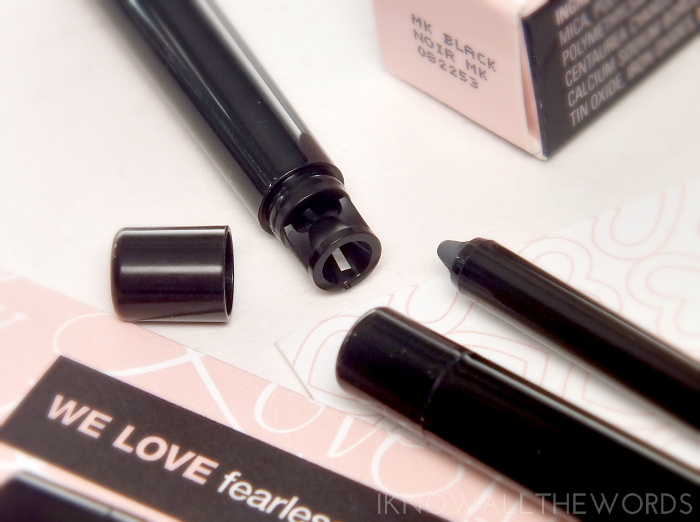 The formula stays creamy and easily blendable long enough to apply without having to rush. 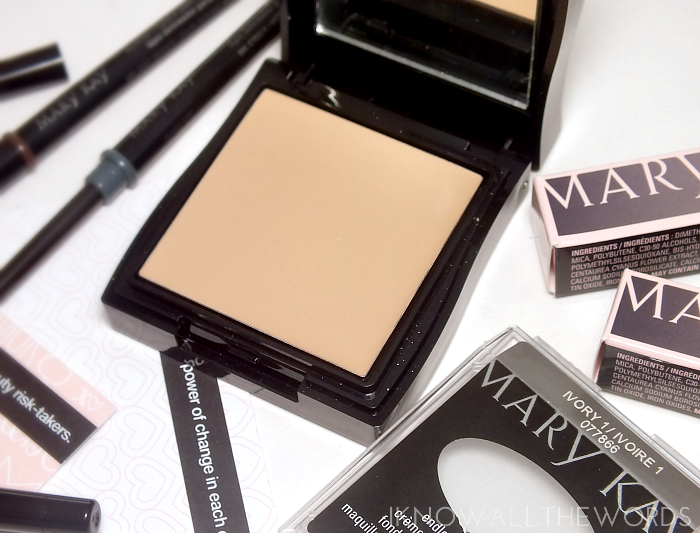 The dry down has a soft, semi-matte finish that is very natural looking ad light feeling on skin. I do find it begins to cling in dry spots around hour 5-6 but otherwise, I really like the light-medium coverage. I think this will suit my skin better in warmer months, when I want more oil control, so this could be a great option for those with more normal-oily skin. I hab the shade Ivory 1, which is the lightest in the range that currently offers 16 shades from light through to deep. The shade offering is quite inclusive, however the very fair may not find a suitable match. I've found Ivory 1 to be an incredible match for me, as the tone is perfectly neutral. Onto the liner! 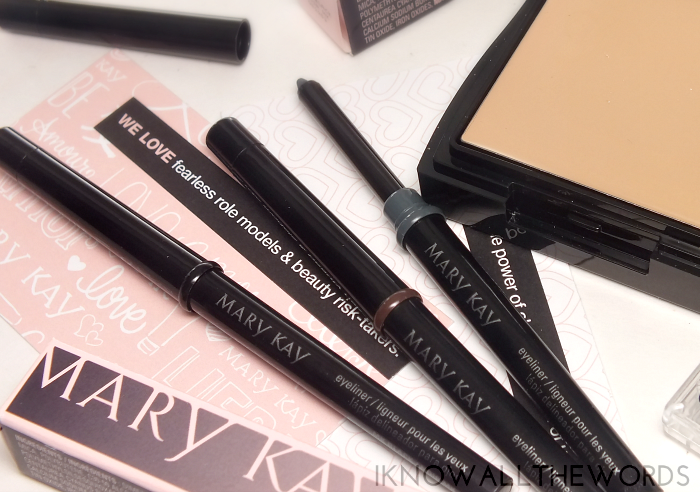 Mary Kay Eyeliner is a simple product with a simple name, but it is kind of amazing... 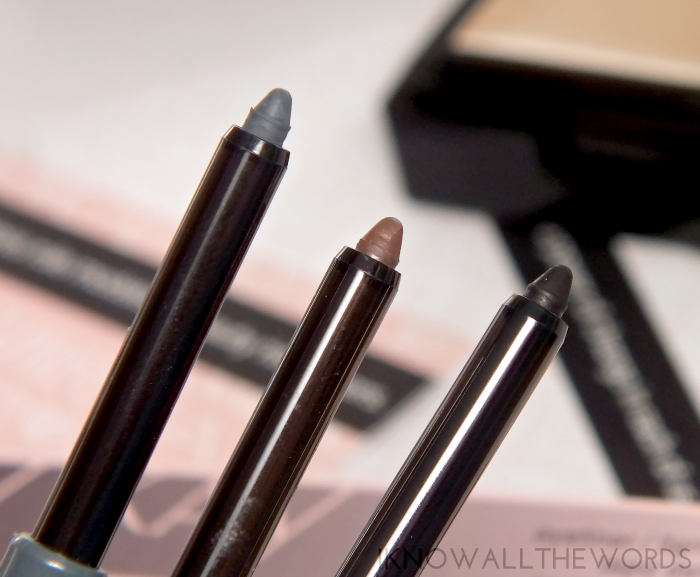 The slim liners come in three matte shades- Steely, a cool, blue based grey, Deep Brown, a rich chocolate brown, and Black, a deep, dark, jet black The shades are basic, but the you can never go wrong with basic shades when the formula is right. The formula here is right! These are creamy and soft enough to offer a smooth glide on skin without any hint of tugging, and one pass gives full pigmentation. The formula isn't so soft that's it's messy, but it does wear the point off of the pencil pretty quickly. No worries though, as the cap does have a handy sharpener that transforms you tip back to pointed glory. The only downside is that these don't fully set, and as such will transfer/smudge a little if rubbed. Not so much that these smudge when worn, but if you're looking for a waterproof, budge-proof formula, these aren't for you. However, you can smoke them out quite nicely when first applied. Overall, two great additions to any makeup roster! 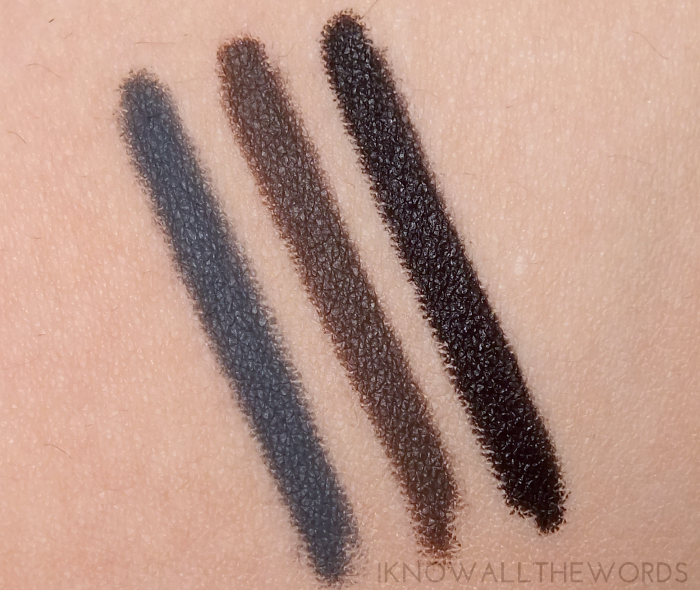 I have been a little bit obsessed with the Steely eyeliner, as my collection was lacking a good grey, and the blue tones in this work amazingly well on my brown eyes. Tried any of these products? Thoughts? What are your staple, use them everyday, type products?